Keeping up with our recent memories from NYC I really wanted to talk in detail about something that I consider is extremely important while visiting NYC and pretty much every single place while traveling, and it is where to stay. 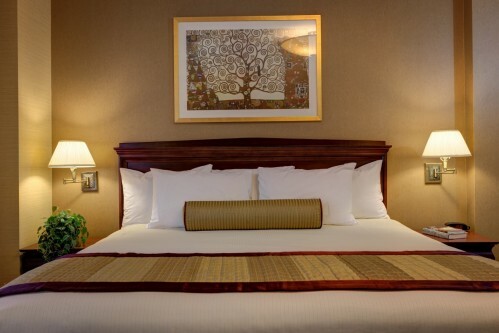 This was a HUGE matter to us because we knew we wanted to spend our vacations in New York walking, we really wanted to explore the city that way so in order to do so, we needed a very well located hotel. Thank God, we found our friends from Wellington Hotel which is located at the corner of the Seventh Avenue and West 55th Street in Midtown Manhattan, we could see Times Square from the window of our room, we had the Central Park pretty close as well, The Rockefeller Center, Top of the Rock, Carnegie Hall, the MoMa and honestly a whole bunch of important places, this was perfect, the comfort of the room was great just what we needed after an entire day walking NYC. They also have a Park Cafe, a Greek Restaurant, a Gift Shop, a Hairdresser and some other shopping stores as well, I was amazed by how complete this hotel is. I would definitely recommend the Wellington Hotel for your stay, it was exactly what we needed and more. I really want to thank their staff that treated us amazingly well, we really appreciate how welcoming and kind they were with us, Big thanks to: Lucille Yokell, Suzette McLeod and Katy for being the sweetest with me. Here I show you some details of the hotel and of course some other adventures. Watch the video below to see more details of what we did and the places we visited. Continuando con nuestras recientes memorias de NYC quería abundar en detalles en cuanto a algo considero es extremadamente importante a la hora de visitar NYC o cualquier otro lugar mientras viajas y es donde hospedarte. Este era un factor bastante grande para nosotros porque sabíamos que queríamos invertir bien nuestro tiempo y conocer a New York a fondo caminando, para lograr esto necesitábamos un hotel con una ubicación estratégica. 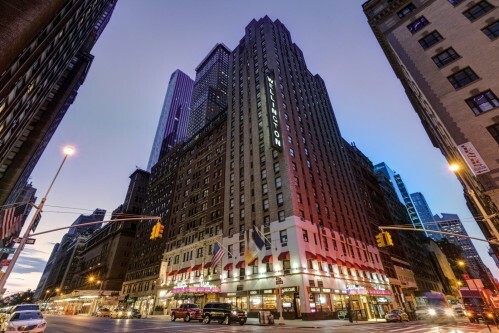 Gracias a Dios encontramos a nuestros amigos de Wellington Hotel el cual está ubicado en la séptima avenida con la calle west 55th en Midtown Manhattan, podíamos ver Times Square desde el piso 20 de nuestra habitación, teníamos al Central Park considerablemente cerca, El Rockefeller Center, Top of the Rock, El Carnegie Hall, El MoMa y un sinnúmero de lugares importantes, esto fue perfecto, el comfort de la habitación excelente justo lo que necesitábamos después de todo un día de recorrer NYC a pie. El Hotel también tiene dentro de sus facilidades a Park Café, un restaurante griego, un gift shop, un salon de belleza y otras tiendas, estaba sorprendida de lo completo que era el lugar. Recomendamos por completo al Hotel Wellington para su estadía, fue exactamente lo que necesitábamos y un poco más. Quiero agradecer al staff del hotel quienes nos trataron de maravilla, apreciamos mucho y valoramos lo hospitalarios y detallistas que fueron con nosotros, mil gracias a: Lucille Yokell, Suzette McLeod y Katy por ser toda una dulzura conmigo. Aquí les muestro algunos detalles del hotel y por supuesto otras aventuras. Mira el video de abajo para más detalles de lo que hicimos y de los lugares que visitamos. New York, NY 10019 - USA. I'm planning on taking a trip to New York this year, so I'll definitely take this post into consideration! Looks like you had a great visit!! Lovely photos! We did, we loved it!! Beautiful photos! Looks like you had an amazing time! Stunning shots! NY is such a beautiful place!! Beautiful photos! I'm glad you enjoyed your stay and got to see a lot while you were in town. This is such a fun time to visit NYC! Sounds like a great hotel! NYC is so amazing. I've been wanting to go back since I left! It is a great hotel, recommend them big time! Mandy, thank you for stopping by my blog and for your kind words! Looks like you had a wonderful holiday season in NYC! I hope your New Year is off to a great start and that 2016 treats you well in every way! I need to get back to NYC soon. Such an amazing city! These shots are stunning! Ugh this just makes me so envious! We were supposed to go last year but life happens and I had to put it on hold. It's always been my dream to go to NYC. Great blog btw, can't wait to read more! This is a great guide to NYC the pictures are stunning! Thank you!! Happy you liked it!! I love NYC! I need to make a trip up there during Christmas time! Thanks for the hotel suggestion! 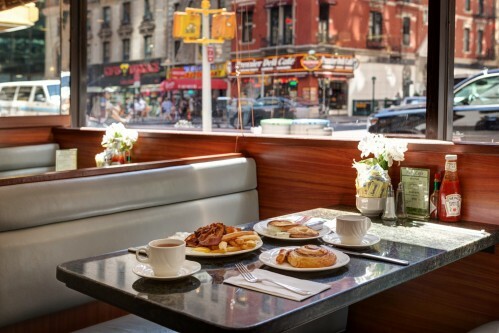 I'm hoping to make a trip back to NYC soon, and these photos make me want to plan my trip! Happy this was helpful for you!! Loving going to NYC! Thanks for the hotel suggestion. I might need to check them out next time I'm there! These are some great suggestions! I always love stopping at Top of the Rock, it never gets old! Gorgeous pictures, too! Great suggestions! Where to stay is the most important decision for sure! wow, everything is so colourful and bright, and that dessert looks incredible! Some really great suggestions. I love NYC! I'll definitely look into the Wellington Hotel on my next trip to NYC! I have always wanted to visit NYC during christmas time! looks like fun! Amazing post and gorgeous pictures! Preciosidad de fotos ♥. Espero que te lo estés pasando genial. Ahora mismo voy a ver el vídeo. I'm across the river in Jersey and these are such beautiful photos of NYC. Glad you enjoyed your stay! I know exactly where that hotel is, that is a great location! I haven't been to NYC in so long - it looks so cute. Great suggestions - it looks lik eyou had a lot of fun! Love this photo travel, amazing! I love visiting New York so much, and all the choices for hotels can be so overwhelming! In midtown I have only stayed a the Marriott Marquee, which is very nice but also so huge and busy!! It's great to have another recommendation for the midtown area! LOOKS LIKE YOU HAD A AMAZING TIME! My favourite place in the whole world. Great photos.